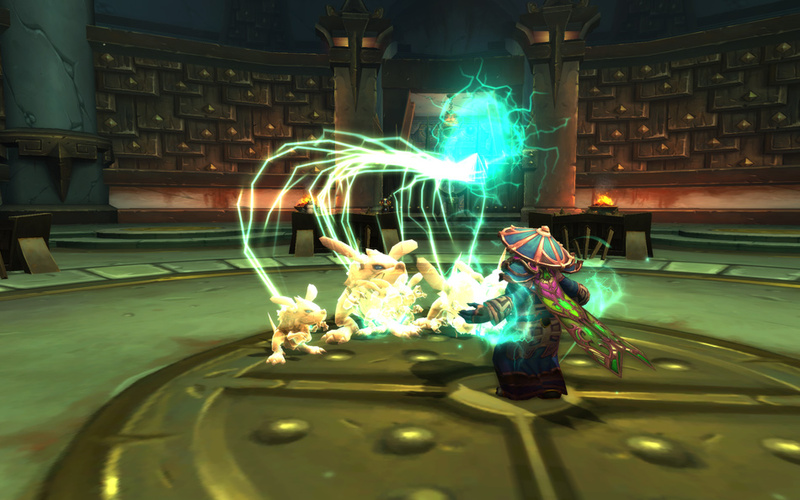 There are a few ways to gain reputation faster than normal with factions in Pandaria that can help you save time in the game. The first way to gain reputation faster requires you to be working on reputation with any secondary characters that you have (or a primary that is at least revered). Once one character gets to revered with a faction you gain the ability to purchase an item from them called a Grand Commendation. This item allows you to earn double reputation with that faction on this and all other characters that you have. It is an awesome speed boost to earning rep, and one that you should make sure you grab as soon as you hit revered with each faction. It cuts that last 21,000 reputation required to get to Exalted down to half. The fact that it speeds up all other characters sure doesn’t hurt either. The second way to earn reputation faster is to champion a faction while running LFG dungeon runs and scenarios each day. This feature was added into the game with Patch 5.2. This feature is especially handy if you have gotten sick of doing dailies for various factions. You can select a faction to champion and you will get 200 reputation with them for the first scenario you complete each day and 300 reputation with them for the first LFG random dungeon that you run each day. Over time this 500 points each day really adds up. If you team this up with a character that already has a Grand Commendation, it means you can get from revered to exalted in 10 days just with scenario and dungeon runs. Not to shabby.